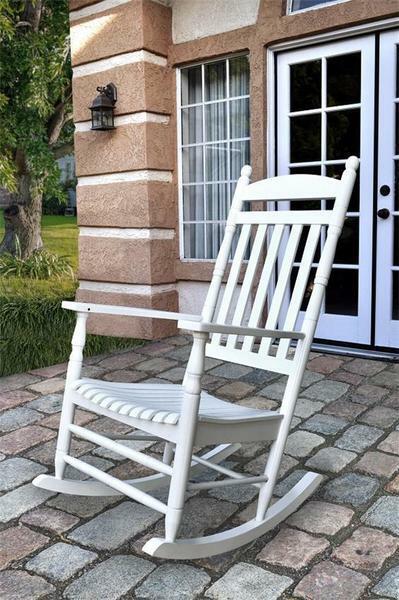 Shop Gardentones for the best porch rockers and rocking chairs including the Rhode Island Porch Rocker. 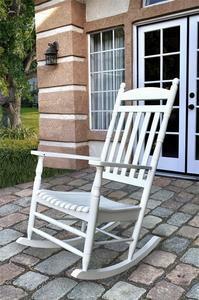 You will have no trouble relaxing and winding down after a long day as you rock in the the Rhode Island Porch Rocker. Customize the look by choosing from our brown oak or white paint colors. There is some assembly required for this porch rocker which is why we can keep the shipping costs so low. Painted Finish - Polyurethane Paint for Outdoor Use.